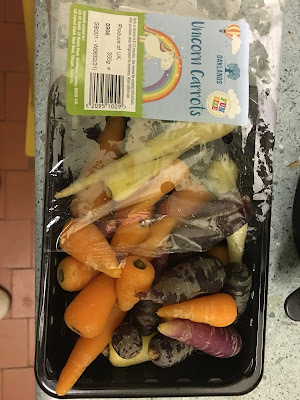 While looking for green veggies to halt my cravings (settled on sprouts - even though it's not Christmas) I came upon this wonderful little package for £1. This is just essentially a box of smaller carrots of a variety of varieties but where they are all pointy ones. 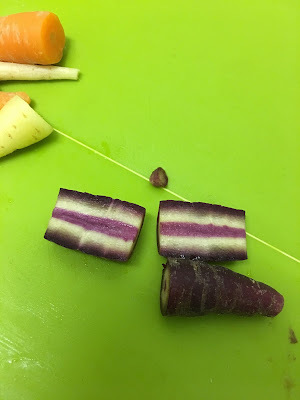 As baby carrots go we tend to just get the orange ones. Here we have a lot of orange, a few white (parsnips really) and some dark and light purple ones - like carrots originally were in the wild! 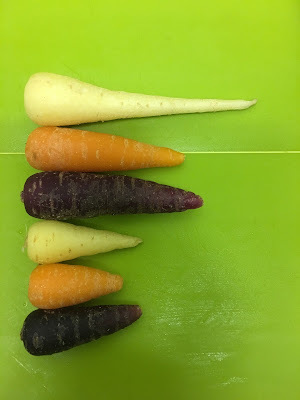 They look very aesthetically pleasing, especially on the trendy green chopping board. And inside they look particularly cool. I didn't really need carrots, but I've been enjoying this little bit of variety in the veg. 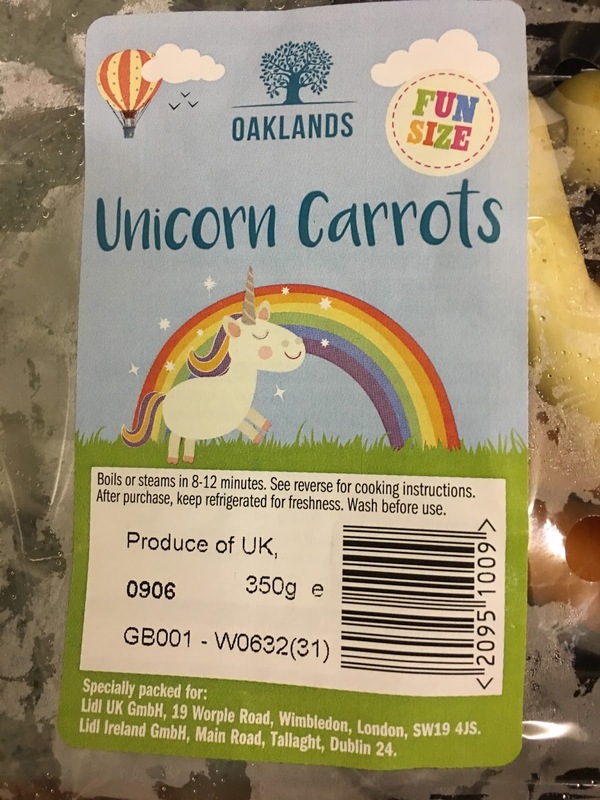 Branding healthy, whole food in a way that appeals to children and makes the adults job a little easier is a great idea. 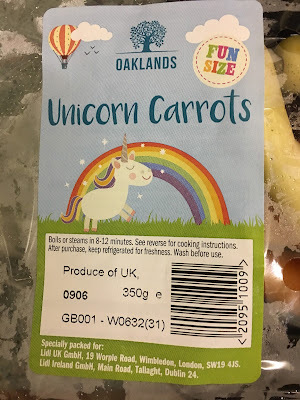 'Eat your veg' isn't really appealing, but 'do you want unicorn carrots tonight?' is a much more tempting proposition. Can we think of other ones? Can we find a way to rescue the broccoli princess? Would boys want to eat Goblin Sprouts? More creative ideas in the comments please! At £1 these are reasonably priced too, from the UK and something I've not seen outside of Lidl so a reason to pop in to pick up the fresh stuff (the blueberries were amazing this week - yum! ).